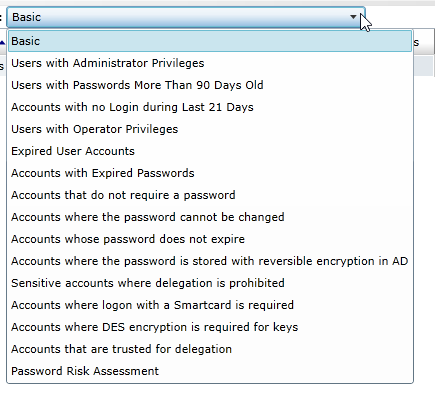 Systrack assessments by VMware – part 3. 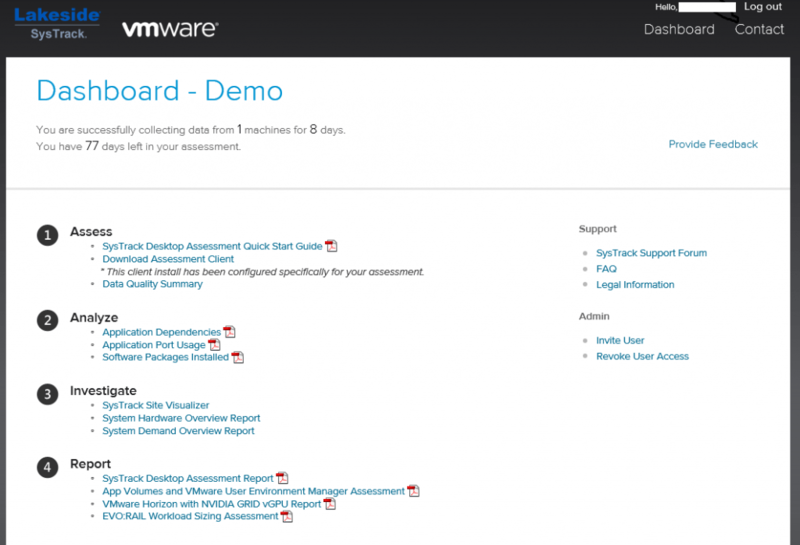 Since a few weeks VMware has a website online that offers cloud based assessment possibilities. The software used to do the assessments is Lakeside systrack. In my first blog about this new VMware website I showed you how to setup the stuff, installing the agent after you created an account. In my second blog I showed you the basic dashboard that aren’t that fancy but good enough for some projects…. Major kudos to the team of Lakeside to add a feature overnight after a discussion on twitter, that was awesome. In this blog I;ll show you the advanced dashboard and the reports that come available after you monitor a longer period of time. I still haven’t got all the options available, feels like some sort of a computer game where I need to get several levels to open possibilities. Browsing to the website and logging in gives you the first screen, after a while the analyze and report option opened up. I noticed that I still don’t have all access to analyze or report. 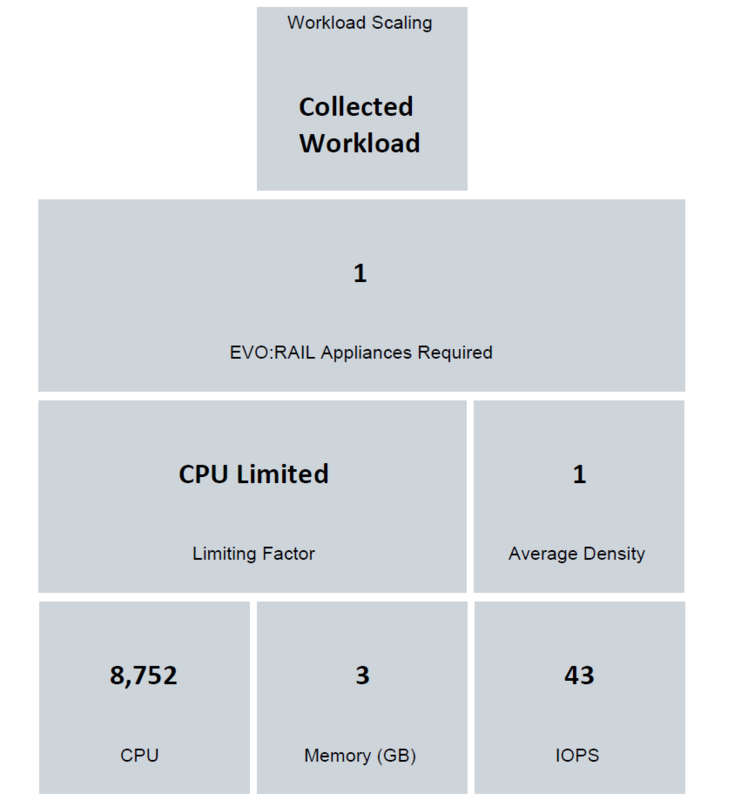 There are a few reports available that are interested, the EVO:RAIL report will show you what it takes to migrate you users to a central virtualized environment. It shows the EVO:Rail setup needed to migrate. I don’t have enough data to show anything from these reports but you can imagine the data there. Once I have the data I will publish. The dashboard that you first will encounter is the overview screen from where you have the option to deep dive. On the right side of the screen you see a few basic numbers, they are clickable to get a deep dive. 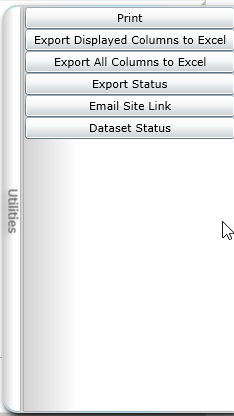 If you click on Datasets from the top menu you will get access to all the various datasets. There is a lot of data collected and I’ll try to walk you through it. Sure I can’t show you all for that would take a few extra blogs but I’ll make sure you have a good idea of the possibilities. 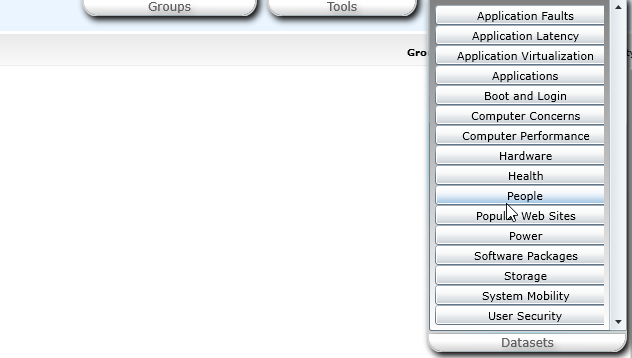 If you open the applications dashboard, you see all the applications installed on the local system with details. 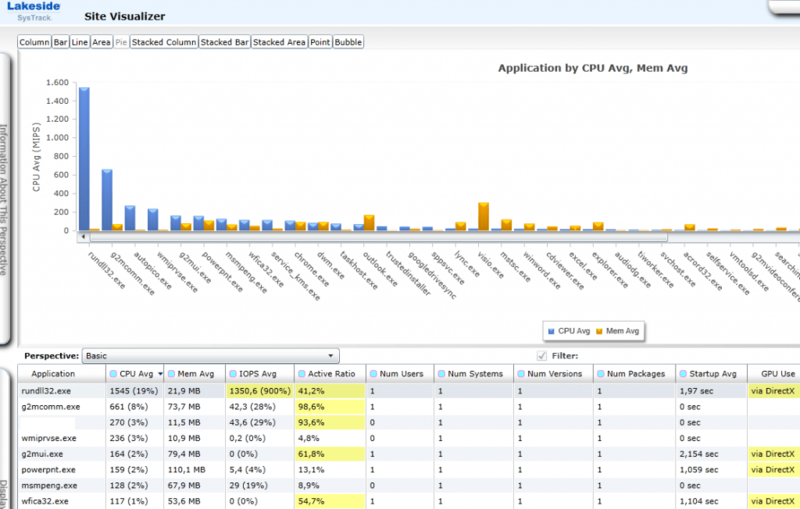 What is interesting here is that you see the average IOPS and the GPU usage of the application. 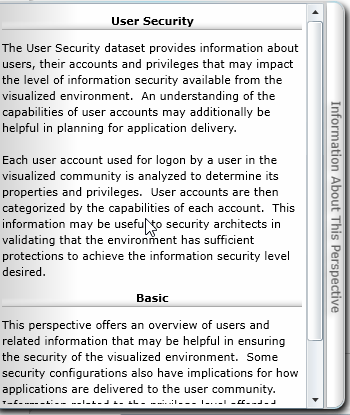 Instantly you see if you will run into an issue virtualizing this user with his or her application. There is more information hidden, if you click on the drop down bar above the application you can drill down to specific information about applications. Something less interesting in a FAT client environment when going virtual is the boot and login times, but at least it gives you a good overview of the current issues. 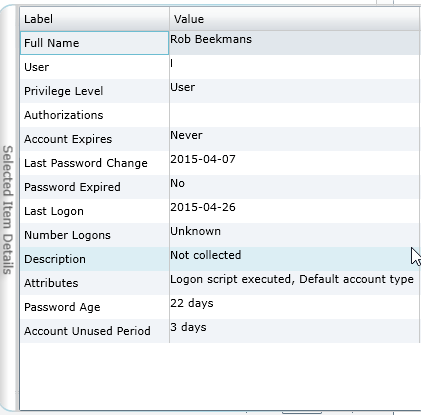 The assessment dashboard will show a breakdown of the logon and boot process. and so you see that on my system it takes ages for all the software crap to start after I logged on. 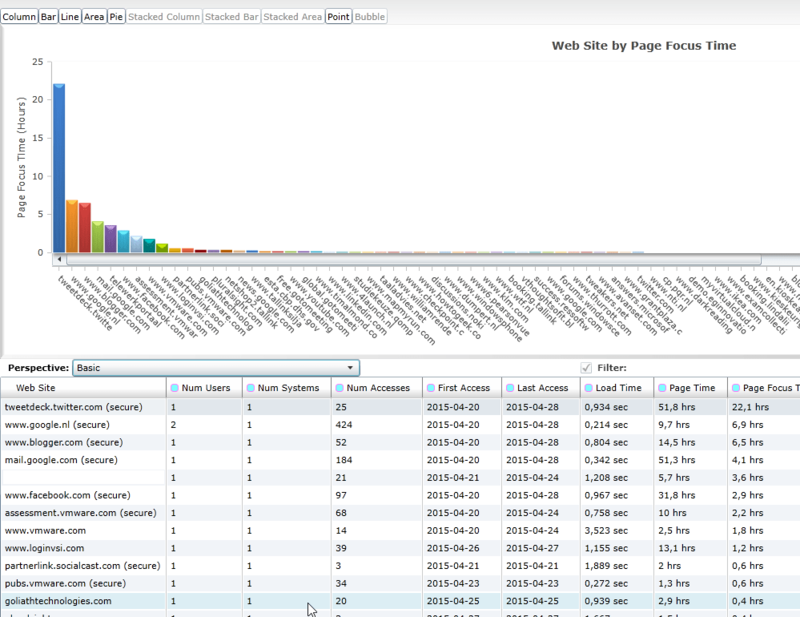 If we drill down to profile processing you see what is happening with the user profiles in your organization. Of course with just one user there is not that much to see but with a list of 2000 users you could see a nice pattern. The same goes for the resources needed the boot and login process, this one is very interesting for you see how many resources are needed in the current environment and probably are needed also in the new one. If we look at the people dashboard we can see information about the users working on that system. All users working on that any system are reported and all details that might bite you later on will be reported so you come prepared. On the right side of the screen you will find another menu that you can open, the menu changes with the dashboard you have open (of course). With the user dashboard you will see details about the user you selected. If you select a different sub dashboard you will see different details here also..
Another menu on the right side of the screen is the utilities menu, this menu gives you options live printing and exporting the data to Excel. This is a great option because with Excel I can create my own queries and make sure it gives what I need. On the left side of the screen there is a menu with some explanation of the dashboard you’re in. If you wonder about what you are looking at you can open this menu and read what the dashboard is designed for. The last menu on the left side is the filter menu. 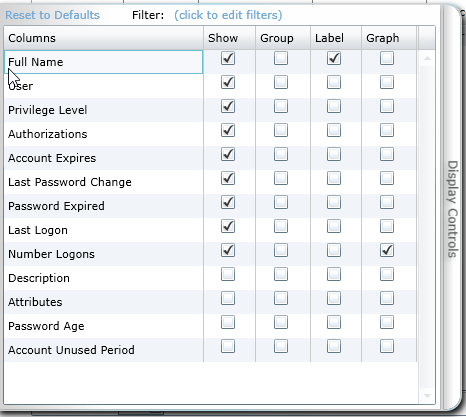 The columns you see in the dashboards are just a fraction of the columns available. if you scroll down the show column you have a hug number you can select. I haven’t checked the out yet for it would take all evening to do so…but trust me there are a lot. If you are looking for information about the size of applications living everywhere on the users system you can take a look at this dashboard, it gives a break down of where all the application files are living. This dashboard again has some very interesting sub menus that you can choose from like all the other dashboards. An interesting one of course is the slow logon due to large profiles, this will explain all the complaints your users might have about logon. There is a dashboard that will show the website used and the number of times it was accessed. I noticed that there are also commercial sites listed that were started from visiting another site…one site listed was something like secondlover and I’m pretty sure I didn’t go there. 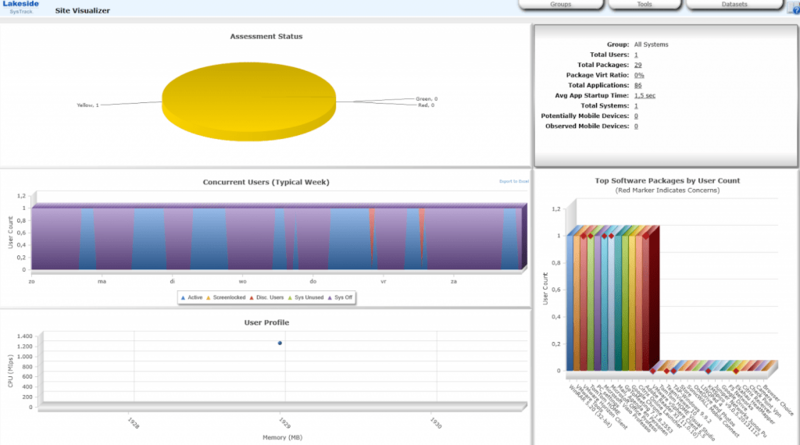 The Application virtualization dashboard will show if applications are a good candidate of virtualizing. If you spot the color red you know there is something wrong and you can’t virtualize it. 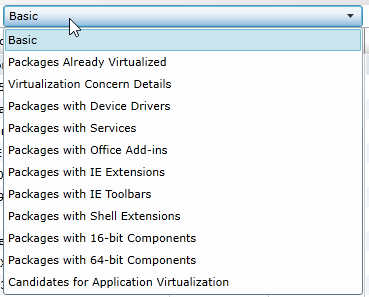 If you open the menu on the right side as mentioned before, you see the details about why you can’t virtualize this application. Again this dashboard has also a number of options to help you drill down, you can select packages with device drivers to see all the packages on all systems with device drivers. This dashboard will help you determine where to put your focus going to a virtual environment. Printers, scanner and other peripherals are variables that you want to know about when you design a virtual environment. User will want to work with the same apparatus when you migrate them so you better come prepared. With this dashboard you will see which system has USB devices, printers or modems (I hope you won’t find any of those still). The last thing I want to show you is the ability to create a filter to make the dataset your own. on the left side of the screen the menu with the show marks also gives the option to create a filter. Don’t worry about doing something wrong, there is a reset to default also. 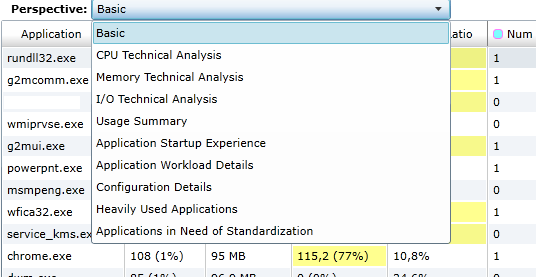 I hope you have a good idea now of what is possible with the assessment tool from VMware and Lakeside. Are there no bad things to tell? Sure there are, all data is shipped to the cloud and perhaps your policy doesn’t allow that. I have customers that won’t allow this but for them we have other options that save data on-premises. This tooling is for the ones that are okay with cloud based. If you look for more advanced tooling that runs on-premises look toward one of my sponsors Liquidware Labs offers a great tool called Stratusphere that can do this job for you.